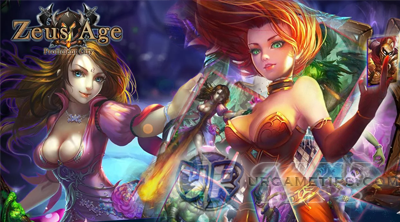 Zeus Age is a thrilling action RPG multiplayer online mobile game presented by Proficientcity. Available on Android - Google Play, iOS App Store, and Facebook. The Gods are gone! but there's still hope! You have been chosen to lead a few heroes and monsters to bring the Gods back to reality and use their weapons against the evils of this strange world! 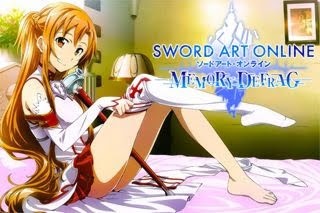 - PvP Arena and More..
- Skills To Prioritize per Hero or God. How do I get Heroes or Gods? - Other than the free starting 5 heroes, you can get more of them by collecting Spirit Soulstones then summoning them via the Heroes tab. - Log-in everyday and collect all sign in rewards until you claim the free hero of the month. - Chance to obtain from the "Sacrifice" section. For "Pray" feature, just use the free option, same with the "Summon" feature, but if you have enough Balens, use the Summon x10 option. - Chance to get one from expedition chests. - Events and other sources. How do I get Soulstones? - Complete certain Mission Tasks to claim some Soulstones. - Can be purchased or redeemed from different in-game Shops. 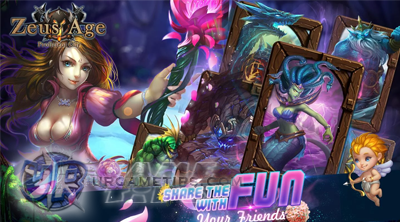 Merchant Shop, Mysterious Shop, League Shop, Expedition Shop, and Arena Shop for example. - Can be farmed from Elite Stages. - Chance to get from expedition chests. - Login rewards, in-game events and other freebies. How do I unlock Hero skills? 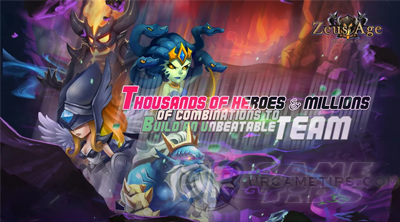 - All Heroes start off with one skill initially. Their second skill unlocks when the Hero advances to green. The third unlocks when the Hero advances to blue and the fourth when the Hero advances to purple. Can I level up my Heroes any faster? - You can level up Heroes by using EXP potions. How do I advance my Heroes? - All Heroes have six equipment slots. When all 6 slots are full, you can tap “Advance” to increase your Hero’s grade. Once an item is equipped, you can’t unequip it. What is the Hero Advance process? - White→Green→ Green+1→ Blue→ Blue+1→ Blue+2→ Purple→ Purple+1→ Purple+2→ Purple+3. Why won’t my Hero’s EXP take it past Lv 40. - At Lv 40, your Hero’s level is capped off by your troop rating. Once you level up your troop rating, you will be able to level up your Hero. What happens if I can’t level up my troop rating? - Visit the Daily Activity to see which ones you’ve completed. Daily Activities award a lot of Team EXP. How do I increase my Hero’s stars? - Tap a Hero’s portrait to see how many Soulstones you need to Evolve your Hero. Once you have enough Shards, tap Evolve to increase its stars rating. Which of my Hero’s 4 skills can be launched manually? - The first skill can be manually activated. The remaining three skills will automatically trigger at regular intervals. Why can’t I level up a skill beyond a certain level? - The first skill can only level up to the Hero’s level. The third skill can be leveled up to 20 levels below the Hero’s level and the fourth only up to 40 levels below the Hero’s level.